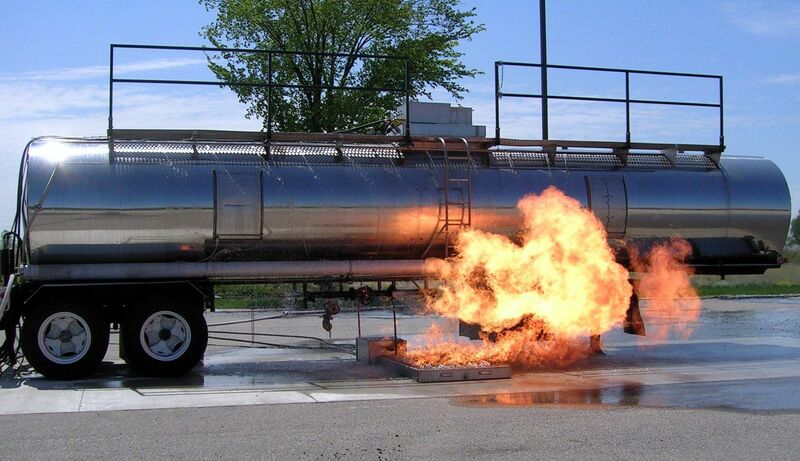 KFT's Mobile FireTrainer® provides an economical alternative to fixed fire training facilities, and can be shared among numerous fire departments in a region. These mobile fire training burn trailers are fully self-contained with on-board propane storage and electrical power generation. KFT offers a number of mobile versions ranging from 20-ft (6 m) to 53-ft (16 m) in length. Modular versions are also available that do not require a formal foundation. 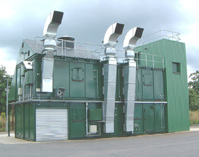 Multiple units can be joined or stacked to create a custom burn facility. KFT also offers a number of other Mobile training systems to meet unique training needs. These include the Mobile HazMat Tanker and Mobile SCBA Trainer. Advanced mobile live fire training system, 2-3 interior fires, 2nd story room. KFT has supported numerous Mobile FireTrainer® grant awards.